Happy Friday friends! For all our US readers and industry friends, we hope you had a very happy Thanksgiving! Today, for the very first time, we are offering one lucky reader the opportunity to win a three-month subscription to our SCT Sampler! For those wondering “what is the SCT Sampler?” we’re going to give you a quick overview of this monthly “happy mail” as our subscribers call it. The SCT Sampler is a fun package delivered monthly containing samples of new papercraft products available. Each month our team curates a sweet selection for our subscribers that includes twelve different 6×6 papers, some coordinating embellishments and stickers, a custom designed title and so much more! 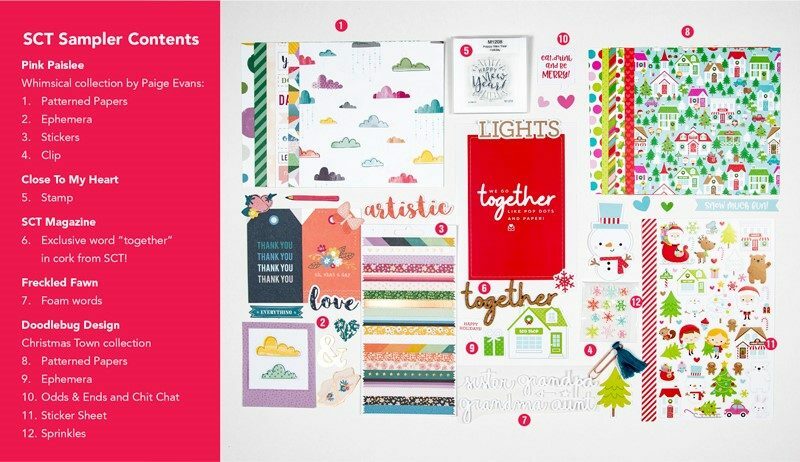 This year subscribers have received stamps, dies, stencils, embossing folders, adhesive and SO MUCH MORE! Do we tell you what you’re getting each month? No way! It’s all about the surprise. Do you remember the little surprise bags in the variety store when you were a kid for $.25 and you never knew what you were going to get? Well, this is very much like that. And all for as low as only $12* per month! With the SCT Sampler, you can sample the newest designer trends AND have a surprise delivered to your door every month! It’s a totally new experience designed with you, our favourite papercrafter, in mind. Ready to order yourself a little happy mail? Merry Christmas to you! For those that don’t know what to get you for Christmas, this is PERFECT. A gift that gives all year long. Our January opt-in period is open for another 2 days so be sure to subscribe before the end of day Sunday, November 25th. Subscribe HERE for the SCT Sampler! For an opportunity to win a three-month subscription to the SCT Sampler, we would love you to share a comment below. 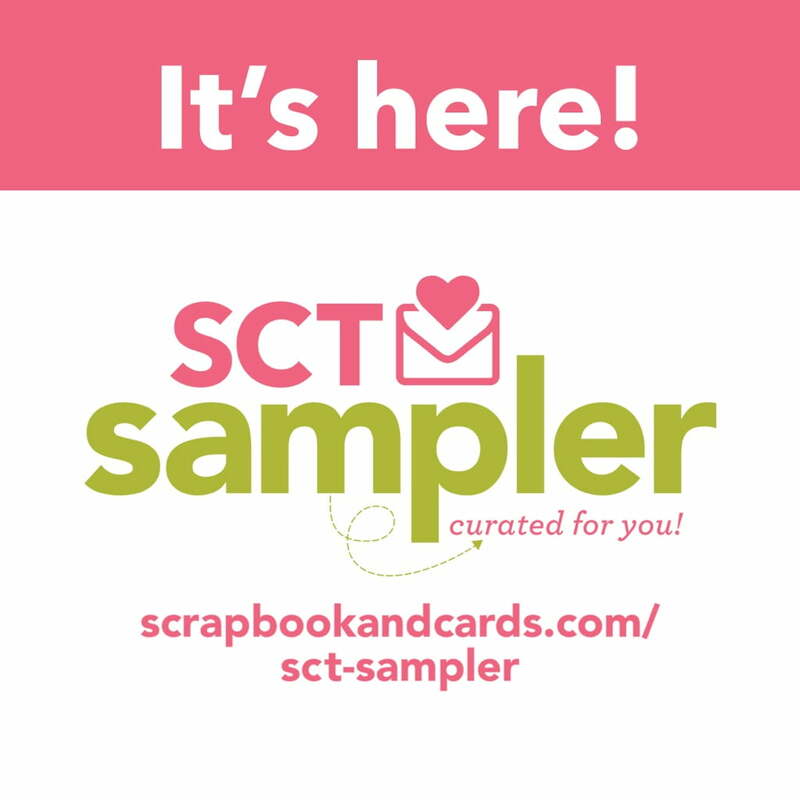 If you already receive the SCT Sampler, tell us what you love about it! Be sure to leave your comment by November 29th! Good luck. Have a great Friday and a fun-filled weekend! 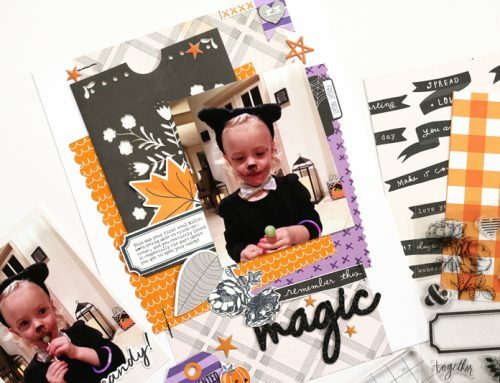 Meghann Andrew shares the October SCT Sampler! Love this happy mail! Look forward to it every single month! Would love to receive this in the mail. What a great idea, this sampler product! 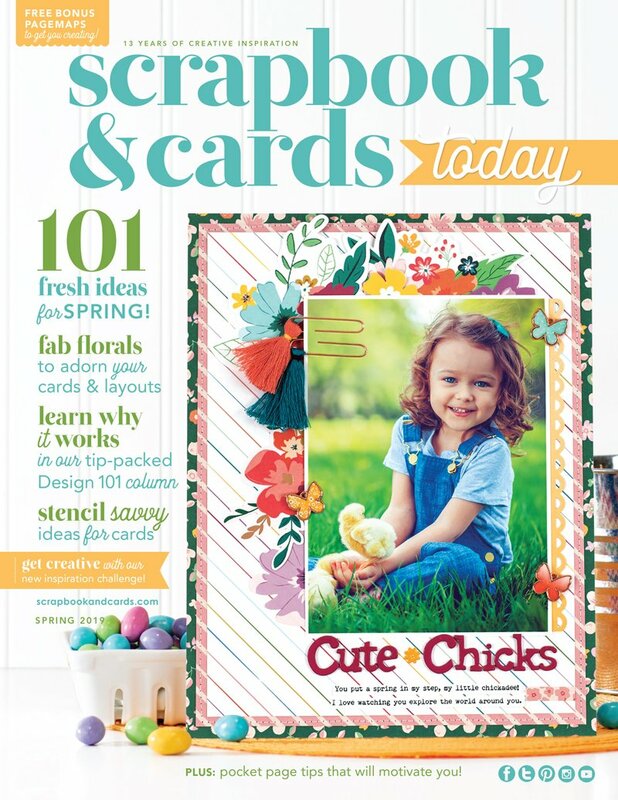 A great way to introduce new lines and products into the papercrafter’s world!! Just ordered a year’s worth of SCT Sampler. So looking forward to Christmas once a month!! Looks like so much fun. Oh my goodness! This sounds wonderful. Like a little slice of bliss every month. I love the mix of different products and would love to create with this kit. Thank you so much for the opportunity to win this Sampler. I just ordered my SECOND year’s worth of SCT Sampler! Love getting a little something just for me each month! Always impressed with the samples! This would be SO cool to receive in the mail. Thanks for the chance to win! I have been a subscriber for the whole year. It’s so much fun opening up the surprise package each month. Lots of fun things in each envelope. I like it so much I’ve signed up for next year too! Love your sample cards in the video. Very inspired by your samples. I have received the Samplers since January, and have renewed for 2019. It is a monthly envelope of encouragement, inspiration and fun! I encourage everyone to subscribe you will not be disappointed. to my daughter. thanks for the chance. Oooh! This looks like such a great sampler.So many potential projects are running through my mind! Would love to win a box of these goodies. I haven’t tried one of these yet, but they look interesting. I would love to win one to play with! Thanks for this awesome opportunity to win some wonderful crafty goodies. I would love to win this and get some crafting happiness in the mail for three months! These look so good! I would love to win one! What a wonderful sampler! Would love to give this a try thank you for this opportunity. Happy thanksgiving. Looks like an amazing subscription. The sampler is a great giveaway. I NEED SOME MORE SCRAPPING FUN. THANKS FOR THE CHANCE TO WIN. This is a perfect way to keep up with all of the latest trends. It’s just enough to motivate you and get you crafting. I’d love to try it. I would love to try these kits! They look like so much fun! Hi, I am totally new here. I would really love to receive these kits. Wonderful to build my stash up again. Thank you so much and good luck to you all. I have only heard good things about the SCT sampler.. would definitely to try it! Thanks for the chance at this giveaway! I love surprises like this! Thanks for the chance to try it out. Always love monthly kits. Christmas every month. And, it isn’t a huge amount of money. What a fun way to see new product lines. I would love to give these kits a try. Purchased the sampler as a Birthday Gift for my daughter. She loved getting “happy” mail. Would love the chance to enjoy it as well. I love the idea of getting samples of supplies. I think it would be a fun challenge! Having to work with lines and designs that I may not have purchased or even sought out before. I would love to win and see how I would do! Would love to win the sampler giveaway. Thank you for the opportunity to win. I’ve been eyeing the samplers and thinking about ordering them – this would be a wonderful way to try them out! The ones you share here today look great, but there’s nothing like seeing something in person! Thanks for this opportunity! I live the surprises every month. 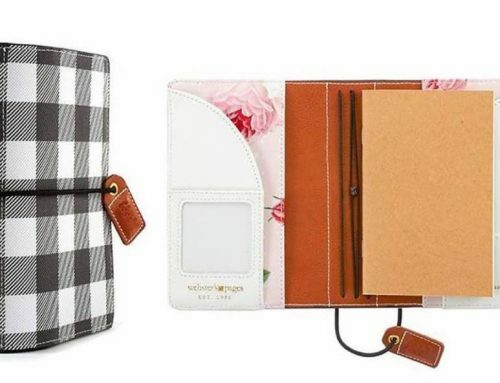 Just cute stuff and excellent quality. Such a great way to try the sampler! Thanks for the chance to win! Love getting my sampler each month! It’s great to see the various themes each month and love all the papers and ephemera! Thanks for the chance to win! Oh this would be the ultimate happy mail! But darn it, you would probably create a happy monster in me and I would need to sign up indefinitely after getting such amazing and varied goodies in the mail for a few months! Thanks for the amazing giveaway! This would be so awesome! I love getting stuff in the mail. 🙂 Thank you for the chance to win! This looks fabulous! I love the way everything coordinates! Thanks for the opportunity to try out the SCT Sampler! Would love to receive this happy mail for sure. Great idea! Kind of like an appetizer of paper products. Wow! This sounds like a great deal! I have yet to subscribe, yet each time it is offered I am tempted. It would be fun to receive a surprise box each month. What a great giveaway! Who doesn’t love a little happy mail? What an awesome way to brighten a day and to try some new products. What a great idea. It’s always fun getting surprises in the mail. The ideas are already in the bag and come together so easily for cards and scrapbooking! I love trying things I would not normally buy. I would love to receive this kind of mail! It would be cool to receive some “Happy Mail”. I hadn’t heard about this before! I’d live to win it so I can Christmas gift myself every month if I like it! I am seriously considering ordering it, but a 3 mont trial would really help! Thanks SCT! I love my SCT samplers, they are fun little packages full of crafty goodness!! What I love most about it is it always has something I probably wouldn’t think of buying but I’m happy to have it! Thanks for the opportunity to win! It would be fun to win new Scrapbooking supplies in the mail. While the sampler is beyond my budget at the moment, I always think how many fun things are included in it! What a wonderful and generous giveaway! I would love to be able to win a sampler box they look amazing! I already subscribe. And I love all the goodies you get! It’s so much fun to discover new products that you never knew existed, or you wanted to try! Wow, what a fun idea. I would love to get some happy mail every month! Lots of inspiration in one pack. Honestly these kits are amazing! I can even get at least 3 pages made out of each one, love them! Great way to test out the new products! Thanks for the chance to win! Beautiful products–would love to win! I have been on the fence about getting the Sampler kit. this would be the perfect way to see if it is something I would use. What a pretty kit! So much creativity waiting to happen. Thanks for the chance to win the sampler. Happy Thanksgiving to everyone. I love your magazine! The cards are always so nice. I love this happy mail ! It amchance for me to get into my craft room and MAKE ! Also get a sneak peeek at new product lines to explore. Thanks SCT for this great idea! The Sampler sounds like the perfect way to try out new products and see how they fit into my style. Thanks for the chance to win. What a fun idea-I would love to win this! I would love the opportunity to discover the creative materials in sampler package! I would love to win this sampler subscription. It’s a great way to inspire me to get crafting!!! I would love to try the SCT sampler and see where my creativity takes off with the surprises in the kit. What a fun surprise to receive in the mail each month. Thank you for the chance to maybe try it out. I love getting something fun in the mail. It’s great to get a sneak peek at new product too. A person can never have too much paper, too many stamps or too many embellishments! Thanks for the opportunity to possibly increase my stash! Receiving the SCT Sampler each month is like getting a birthday gift because you never know what’s inside! That’s what makes it so fun and special. Oh wow, I love surprises, how fun!!!!! Having a monthly sampler is such an awesome idea. It would be so much fun to see what I can create with it! What a fun prize! I’ve thought a couple times about getting the sampler but haven’t quite committed. Maybe after the first of the year. Thanks for the chance to win! My mother and I love our samplers!! It’s so much fun being surprised with the wonderful sets each month and sharing what we create with them! To win this would be awesome! Live to have some new products to use in my scrapbooks – especially my grandchildren’s scrapbooks. 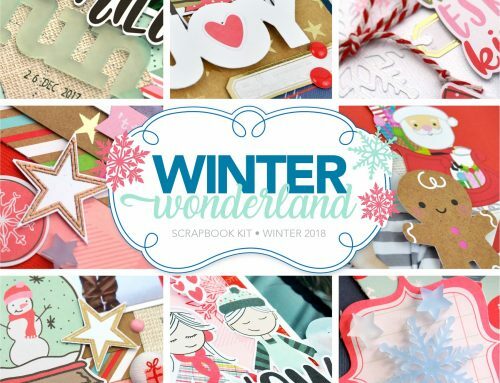 SCT always does a great job putting together a fun mix of products in their samplers and kits, and the examples from your talented designers are always top-notch! This looks like a great sampler. I could have a lot of fun with these. Thanks for the chance to try them out. Would love to try the Sampler kits……would be fun to use on the cards I make. Thanks for the chance to win this great prize! Happy mail is the best mail!! What a great way to try out new product and keep the creative juices flowing! Thank you for the chance to win! These kits are a great concept! Thanks for the chance! Just watched the video and the sampler looks like it’s full of amazing goodies! Thanks for a chance to win! I would love a sampler every month! Thanks so much for the chance to win. Would love to have some happy mail! Wow – this would be so much fun to create with! Thank you ! what an amazing giveaway! I have subbed for the first year and have LOVED every kit! its so versatile and full of lots of bits and bobs! I plan to continue my subscription through 2019!!! I would love to be surprised with this! I love kits! I love how working within the “guidelines” of a small supply set helps me be more creative! Thanks for the opportunity to win SCT Sampler for a few months– I would be absolutely delighted to win!! My second year of SCT Sampler is on order! Can’t wait to get little surprise just for me each month! Thanks for the chance to win another set to give to my friend! It was so much fun to watch the videos and to see what came in each of their samplers. What they both created with the sampler contents were fabulous. Just as it would be fabulous to win a 3 month sampler subscription. Thanks for the chance. I don’t get much time to enjoy my pent up creativeness and think that, besides the excitement of getting something in the mail each month, these sampler kits would force me to have some me time. Thank you for the opportunity to win this product. what a surprise, what a sweet prize!!!! I would love to try the samplers – thanks for the chance to win! This would be a lot of fun to look forward to each month!! I would love to win a three month subscription! I am hoping one day my budget will allow for me to subscribe. I would LOVE to win this but if I do t it will be in my wish list! Loved watching what your designers did with their September and October kits. It was inspiring. Love the 6×6 papers & the awesome positive messages included on the flyer each month! I purchased the SCT Sampler all of last year, and I have purchased it for all of 2019! I have a a plan for each one and will be sharing on all of my social media sites as well as videos….I am so excited!!! My subscription to the sampler just ended so I’d love to win so I can continue to get happy mail. Thanks for the chance. What a great giveaway. I will put this on MY Christmas List as this would be a gift that lasts. Also a nice birthday gift for my BFFs. I just have to have a whole year of SAMPLERS. Thank you. I am not yet a subscriber to the SCT sampler, but have been wanting to since the beginning. I would love a chance to win some kits. Fingers crossed! What a generous gift. I haven’t bought scrapbook supplies in 3+ years. I would love to receive this special surprise box in the mail every month. Thank you SCT!! These look like the perfect “bite-sized” kits every month! Thanks for the chance! I would love the chance to win this! I have been trying to find the means to subscribe for a while now but it has not been working out for me (yet!). Love the SCT kits, signed up for my second year. I just ordered my 2nd year of the Sampler 😊 I love getting it every month. Have not been disappointed yet! Thank you for the opportunity to sample your sampler. I love happy mail. Let’s get real, I love mail – real mail, not electronic mail. Would love to win. Such a wonderful giveaway opportunity…a gift sure to bring many days, wait…make that months..of crafting joy to your lucky winner! You’ve certainly piqued my interest! I love SCT and all of the amazing products available – from your magazine, to kits and classes!! This would be a wonderful birthday and Christmas gift just for me and would allow me to get crafting in 2019!! Thank you for the opportunity to win such a great prize! Would love to win and share with my very crafty Granddaughter. I Have loved the samplers. Had to take a break for financial reasons but would love to win one! I have been envying all the people lucky enough to get these great samplers each month. They look like such a fun surprise to receive. If it is ever in my budget I would love to subscribe as it looks like you definitely get more than you pay. Thanks for the chance to win! Love the sampler! It is a unique little package to look forward to each month that will guarantee a smile and hours of happiness!! Sneak peak into new product and of course the generous offers from the suppliers. Thanks SCT for making each month special. Love this book with all it’s great ideas! Would love a chance to check out the monthly sampler! What a fantastic way to be creative, and receive a surprise in the mail each month! This will be a great way to encourage my newly found joy of scrapbooking and card making. Thank you for the chance to win! I get the Sampler and love it. It gives me supplies that I might not buy for myself, which stretches my creativity and keeps my scrapbooking fresh. Thanks for the chance to receive your monthly sampler. What a great idea! It would be so great to win this! Saw a sample at the Saskatoon event! Would love to win, thanks for the chance to win! I don’t receive the sampler yet, but it is on my wish list. unique products that are put together with a great deal of thought in mind! Looks like a good deal. May need to ‘hint’ to hubby… 😉 Thanks for the opportunity! Hi, I would love to receive this goodness in my mailbox. I love being able to try quality paper crafting products each month- sometried and trusted and some new to me! Joining the SCT Sampler Club has allowed me to think outside the box and experiment with new ideas! I would love to try the SCT Sampler! What a great prize. Thanks for the opportunity! I love kits like this because they have items that I may not normally purchase (gets me out of my comfort zone), yet everything coordinates, so they are really easy to use. Thank you so much SCT!! Would love to receive this in the mail! Thanks for the giveaway! New and unexpected products are a great way to challenge yourself. Try something new! Thanks for the chance to win. I would love to win the 3 month SCT sampler! Very interesting. Thanks for the opportunity. Crossing my finger and toes! I’d love to receive the sampler but sadly my budget can not stretch to it. Thanks for giving a 3 month sub away. Would love to win a sample subscription. What better way to see how much I would enjoy it. I love the monthly surprise in my mailbox. So much fun getting all the latest products. It brings an added zing to all my projects. Scrapbooking, card making, shadow boxes and so much more. A great value! Omg! This happy mail looks amazing! I would love to receive it. I need to put this in my christmas wish list!! Wow! It would be amazing win this great prize!!! thanks for this chance!!! I love the idea of a sampler – there are so many craft companies I haven’t heard of and this might be a way to introduce some of them to a wider audience. Would love to subscribe but the postage is a killer. Please let me win. This would definitely bring out the kid in me! Love the idea of “grab bags”. Thanks for the chance to win. How fun would it be to get this SCT Sampler in the mail every month. Thanks for the chance to win. I enjoy reading your magazine as there is so much creativity and inspiration! I would love to try out your Sampler! It looks like such a fun way to inspire creativity! I would love to win! It’s a really great concept for a subscription. I love the SCT Samplers! Super value, cute goodies…what more could you ask for?! It would be so fun to get a sampler like this in my mail! I would love to win these wonderful surprise packages!! Thanks for the chance to win!! What a great prize! And Doodlebug is one of my favorite companies so this is perfect for me!! How fun to get a creative surprise each month! Thanks for the chance to win. I’ve asked my husband for a sampler subscription for Christmas! I can’t wait! Oh wow I would love to win this! I’ve just added a subscription to my Christmas List! This is such a great idea – just enough to play with and sample new products without overwhelming my stash! What a great way to craft with and learn about different products! I haven’t tried this yet, but it looks super fun! And who doesn’t love getting joy in the mail? I have been wanting to give the sampler a try. After seeing the videos, I now have it at the top of my wish list because it looks like so many fun things and a variety of goodies to play with! This small size sampler is just the perfect way to get me in my craft room and get a few cards and scrapbook pages completed. Thanks so much for the giveaway! These Samplers are so versatile with all the amazing products! Love the creativity shown in the videos. Thank you for the giveaway offer! I love this monthly surprise! It is full of wonderful goodies. I live in Northern Ontario and scrapbooking supplies are very hard to find. There is always online shopping but not always wallet friendly when it ships from the US. This is my way of getting my hands on new stuff. Thanks for the wonderful kits and for the chance to win. I love the sampler! Who wouldn’t love to get samples of my favorite companies!. 😊 I’ve never subscribed but always love what I’ve seen. Thank you for a chance to win! What a great way to get inspiration and supplies right at your door! No more excuses about getting started! Wow this is awesome… Fingers crossed… And toes too. Would love to give this a try! Monthly kits are really the best happy mail! What a great idea – would love to receive SGT Sampler!! This would be so much fun to find in my mailbox! I would love some Happy Mail and amazing new products to create with!! I would find so much joy in making items to share with friends and family. You can usually find me trying to find treasures in the clearance section as I need to be frugal. It would be sooo nice to have some trendy new materials to use. Would love to win this. I am disable and stay at home alot. All I do is crafts. This is awesome. What fun mail to receive. I’m going to be subscribing also, but sure hope to win. Thank you for the opportunity to win this sampler. Wouldn’t this be the JACKPOT of a win!!?? Great way to kick off the new year! Thanks for a great one almost at an end! I would absolutely love to receive such happy mail! I do love surprise packages, especially when they contain crafting supplies. I would love to be able to try these out for three months! Haven’t subscribed yet but I’d love to win one to try it out. These look absolutely awesome!! 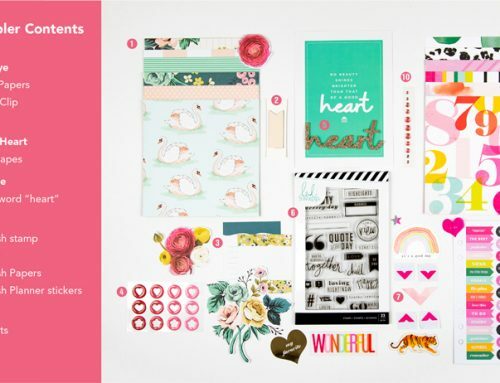 I could use these products on my cards or scrapbooking layouts!!! They’d be perfect for both!!!! Please pick me!! What a great idea! If it wasn’t for this Blog-Hop I would not have known about you. 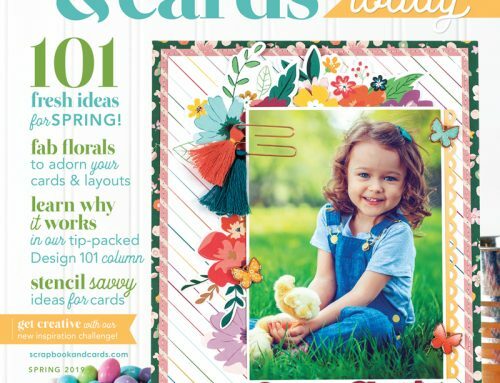 I love samples and it’s a great way to find new products for making my cards. I enjoyed watching the video and learning how easy it was to put a card together from the Sampler. I am already a member of Paper Pumpkin so I would enjoy trying out this product. This is truly the very best monthly surprise!! My daughter & I gifted each other a subscription from the beginning, & we will definitely continuing the subscriptions in the new year! We look forward to whatever treats we get each month & its a great value!! Looks like a very fun colorful kit. Looks like so much fun! I would love to win! The start of 12Days. WOW!!!! I’d love some happy mail.